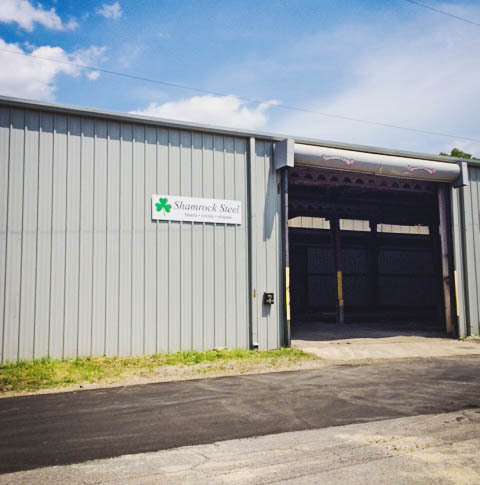 Shamrock Steel carries the most widely used sizes for our industry. Check out what we carry, and if you have any questions, give us a shout. We stock a wide variety of the most commonly used flanged only heads in the industry. Tank heads are flat, not dished. 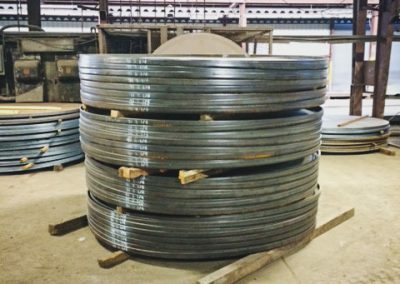 Our heads have a 3/4” inside corner radius, and straight flange lengths range from 1-1/2″ on the large diameter heads to 1/2″ on the smaller ones. Outside circumferences are held to theoretical or to your specifications, with a tolerance of (+ – 1/8″). 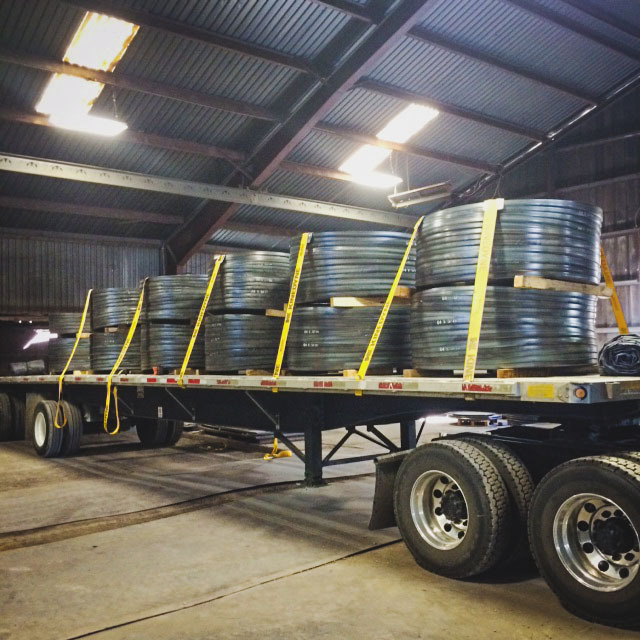 Heads have no center holes and no weld seams, and are stored inside to prevent oxidation. 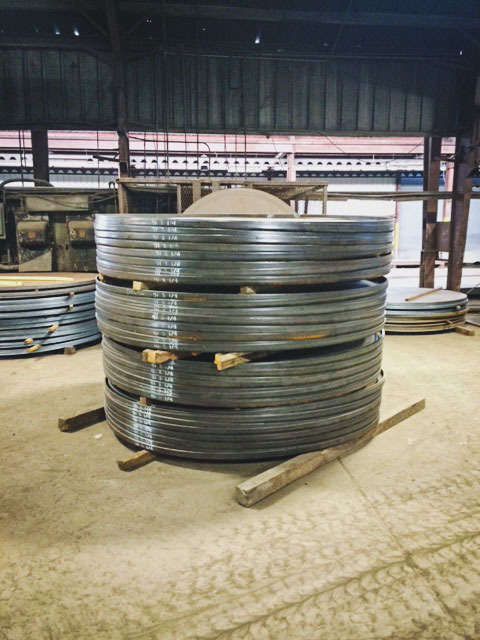 If you do not find the size you need in our Stock Chart, call us for pricing on your special requirements. We will be happy to discuss a stocking program for any size that you use on a regular basis. Every tank head is individually inspected, insuring all heads meet your specifications. Because we flange heads every day ourselves, we pay close attention to providing you with the cleanest and smoothest edges. For customers who prefer to flange their own heads, we stock a matching circular blank for each of our stock head sizes. Because we flange heads every day ourselves, we pay close attention to providing you with the cleanest and smoothest edges on our flame burned circles, and all slag or dross is removed before they leave the burning table. Our lighter gauge circles are laser burned for the ultimate in smoothness and precision. 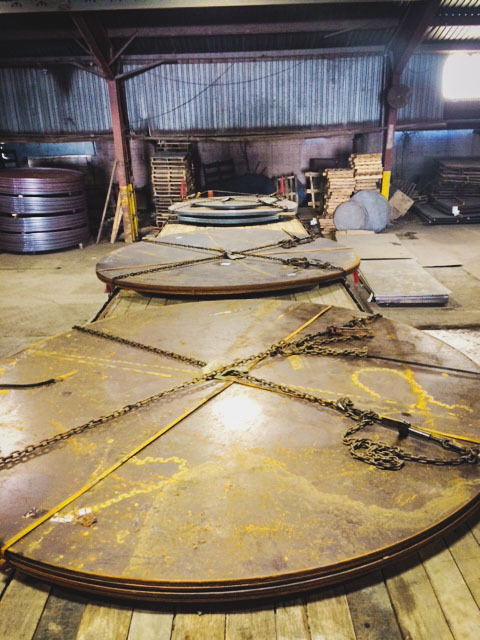 As a natural extension of our core business, we began burning custom steel shapes for a few local customers. 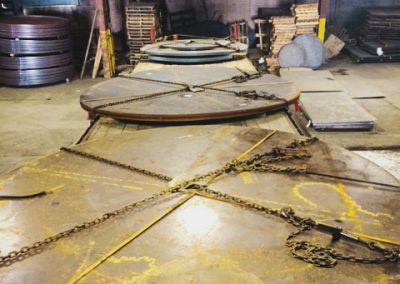 This has expanded to become an integral part of our business, and we welcome your inquiries for any shapes you made need. Simply fax or e-mail your specifications to us and we will respond quickly. Be sure to specify tolerances and the degree of cleaning required for your parts. 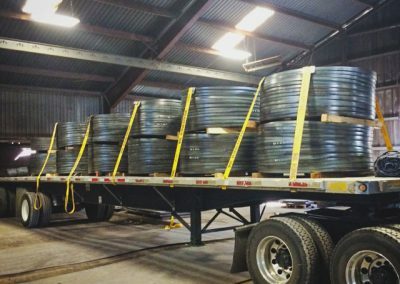 If you are currently buying heads or blanks from us, you can add pallets of shapes to a truckload, thus minimizing your freight cost.